The art of Pigua Zhang is a unique martial art, which hails from Northern China. Like most External Northern-Chinese styles, it is characterized by the use of wide and long stances, nimble stepping methods, big movements and an emphasis on timing and speed as means of best delivering one's blows. The Pigua Zhang I am about to describe in this article represents a branch of the art from northern China, as taught by master Zhou Jingxuan, of Tianjin city. The contents of this article are not in any shape or form related to the Taiwanese branch of Pigua, as taught by late master Liu Yunchiao. Pi Gua Zhang (劈掛拳) literally means 'Chopping-Hanging Palm', or "Hacking-Hanging Palm'. The word "Palm" at the end denotes the art as a style which typically favours techniques with an open palm. Chopping and Hanging are the main attributes of most of the techniques in Pigua, which shall be discussed shortly. The word '掛 Gua' means hanging in the sense of something being hung from a hook. Very little is known of the origins of Pigua Zhang, except that early on it became widespread in the Cang Zhou (沧州) prefecture, Hebei province – an area central to the development of many Northern-Chinese styles. It is unclear how the art developed. One hypothesis is that its large movement were the necessity out of the situation in which people fought in armor, and could not effectively use smaller, more refined movements. This has never been examined or proven. It is far more likely that the movements of this art were inspired partly by Shaolin-derived method and partly from village brawling which had been refined into greater sophistication over the generations. In the picture: Young Guo Chengsheng (郭长生; 1896 - 1967) – the originator of my Pigua lineage. The style which I practice has been handed down from master Guo Changsheng – the founding father of the Pigua lineage most commonly practiced and taught in China today. Guo shifu was born in 1896, in the Changzhou prefecture where Pigua likely originated. He had a passion for martial arts since early childhood, and is said to have been intelligent and with natural talent, a robust and strong physique, and “as quick as the wind”. Thus he eventually earned the nickname “Guo the Swallow” (郭燕子). He was skillful with the curved sword (Dao), straight sword (Jian) and all 18 classical weaponry (a way of saying he was proficient in a large array of weapons usage). Guo was recognized as a foremost expert in the martial arts circles of his day and a great martial scholar of his generation. Master Guo came from a poor family. His father passed away prematurely, but he nonetheless succeeded in making a modest yet upright livelihood rather than relying on (burdening) his mother. He was affected by Sun Yat Sen’s (Sun Zhongshang’s) calling for “planting strong seeds of military skills (martial arts) to save the nation”. With this message in mind, in the year 1916 (age 20) he enlisted to the Baoding 3rd Inspection Patrol Bureau of the local warlord Cao Kun (曹锟). The soldiers in the guard of warlord Cao Kun were studying under great teachers Ren Xiangrong (任向荣; 1852—1930; native of Tianjin) and his younger gongfu brother Liu Yuchun (刘玉春), disciples of Li Dengshan and Xie Jinfeng (Xie Yutang 谢玉堂 ?). Ren Xiangrong and Liu Yuchun had a very close relationship, beginning early in life when they studied under Li Dengshan. Later they traveled together to further their martial studies and make a living as partners. In 1891 they met and befriended with Xie Yutang and his five sons, and exchanged martial knowledge with them, studying their family miao dao (苗刀) methods which belonged to the Taizu Quan system (太祖拳). Cao Kun hired Ren and Liu because he was fond of their martial arts, and especially their miao dao methods. At the time when Guo Changsheng became a member of Cao Kun’s army, masters Ren and Liu were teaching the soldiers 24 postures Tong Bi Quan, dao, miao dao, and spear (Yin Shou Qiang) methods. Because Guo was diligent and enthusiastic in his studies, and had a natural disposition as an honest and considerate person who was well-liked, he was valued and loved by Liu Yuchun. Teacher Liu therefore decided to impart unto him the whole body of his martial knowledge without reservations, which aided him in also gaining recognition from warlord Cao Kun. Later, Guo was transferred to a government post, to serve as Cao Kun’s personal servant and bodyguard. Master Liu Yuchun also had his disciple Liu Shikui (刘士奎) teach Guo traditional family Pigua Zhang. Guo could then “see one thing and infer three”, thus his skill grew even greater. In the year 1923 (when Guo was 27), Cao Kun assumed the position of ‘President of the Republic of China’ (sadly, by bribing a lot of people), and Guo subsequently established himself in Beijing’s (the capital’s) Forbidden City compound. At that time he came to be considered a close associate of Cao Kun, member of his personal staff. Unfortunately for Guo, during armed conflicts between the warlords in the subsequent year (1924), Cao was betrayed and imprisoned by one of his generals, which led Guo away from the initial career path in public service. Resentful of the bureaucracy and angry with the ceaseless fighting, he abandoned his government post and retreated back to his hometown, where he taught martial arts to make ends meet. In 1927, the Nanjing Central Martial Arts School (中央国术馆在南京) was established, and Guo was sent an invitation to instruct a single ‘course’ on miao dao (苗刀) methods at that institution. Word and popularity of his teachings spread quickly, leading to a great increase in the number of students there. Because of this, his ‘course’ on the miao dao became an integral part of that school’s base curriculum, and Guo had the opportunity to produce many skilled practitioners with this sword. He also began teaching Tong Bi Quan, Pi Gua and free-fighting there. With his renewed recognition, later in 1930, Guo also became a part-time military instructor for the Ministry of Foreign Affairs of the Nationalist Government. The following year (1928), the Nanjing Central school arranged its first national meeting and examinations, in which took part some 400 people. Each individual participant was first tested on the use of the spear (qiang), curved sword (dao), straight sword (jian), staff (gun) and empty-handed methods to meet the required standards for taking part in the sparring competitions. The matches were divided into the following categories: Shuai Jiao (Wrestling), San Da (generic name for arena fist-fighting) and weapons (short and long). Following the elimination rounds, only 333 people of the original 400 were qualified for the sparring matches. Eventually, 17 participants of the 333 qualified for the sparring matches were declared superior to the others and ‘equally matched’. Guo Changsheng was among these 17 people, which was one of the reasons for his eventual rise to a permanent position in the school. The competition itself stopped when 17 people remained because the intention of the event sponsors was not to declare a unanimous winner, but to form a select group of people out of which they could choose worthy members for their staff of teachers. 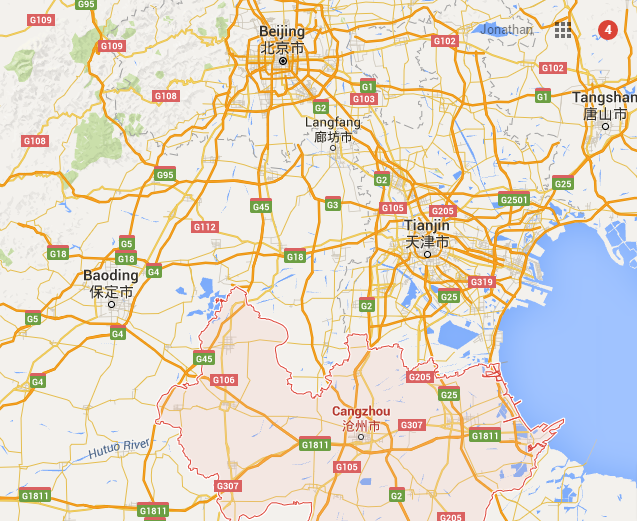 In the picture: A map of Northern China in our time. Note the closeness between Cangzhou (Guo Changsheng’s home town), Baoding (where Cao Kun was originally stationed), Beijing (the capital, where Guo relocated with Cao after the latter became president) and Tianjin (where many students and grand-students of Guo lived and taught). At the time this article was written, the beginning of the 21st century, commuting between each of these cities by car took roughly 2.5 hours. Covering this distance of 130-150km back in Guo’s era would have likely taken a few days, even on horseback. During the Japanese occupation of China, Guo ceased teaching at the Nanjing Central and stayed home, practicing behind closed doors (meaning, he did not teach publicly at the time). When the Japanese army was stationed in Cangzhou (where Guo lived) they learned about his existence and status. Lead by general Ōta (太田), the Japanese offered Guo huge sums of money to teach them his miao dao methods, but he refused, proclaiming he would not pledge his life and service to the cause which was destroying his nation. These actions are praised by the villagers in Cangzhou to this day. Throughout his life, Guo instructed numerous people, and had many students and disciples. Perhaps the most well-known of which (yet not the most skilled) was his son, Guo Ruixiang (瑞祥). His older son, Guo Ruilin (瑞林), was also a martial artist. The Guo family later opened a swordsmithing business, which exists to this day and prospers in China. At the end of his life, Guo suffered from esophageal cancer, and passed away in the year 1967, age 71, from mistreatment of the condition. 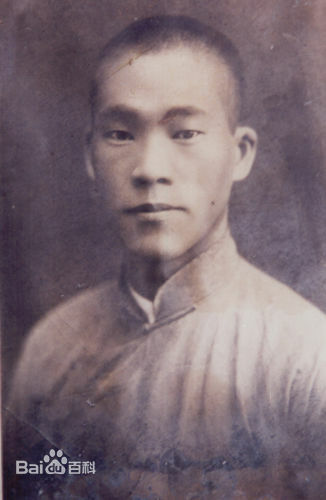 In the 1920s and 30s, Guo Changsheng and master Ma Yingtu (马英图 ; another teacher at the Nanjing Central) worked together to improve upon the existing Pigua lineages, by combining their extensive knowledge of martial arts – especially materials from earlier lineages of Pigua hang and Tong Bi Quan (similar but not identical to Tong Bei Quan). It appears that although master Guo and Ma worked together on their mutual growth, their authentic gongfu signature remained. 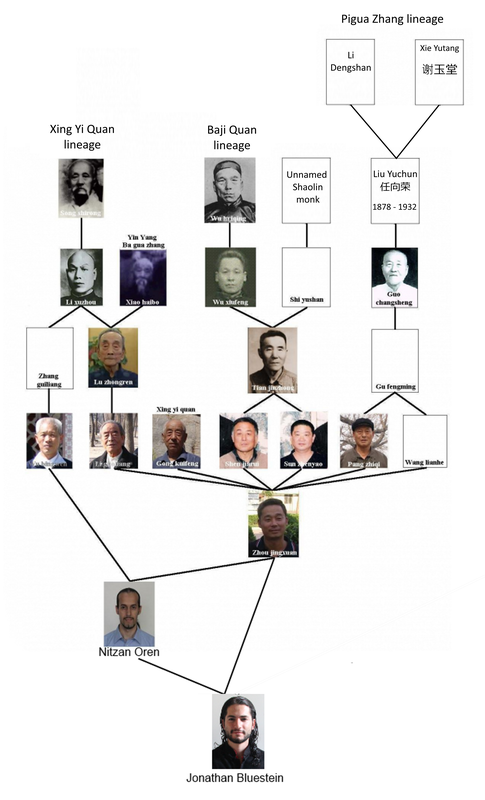 This we learn from the fact that Ma family Tongbi Quan, widely practiced today, is different in many respects to the lineages which came down from Guo’s sons and disciples. 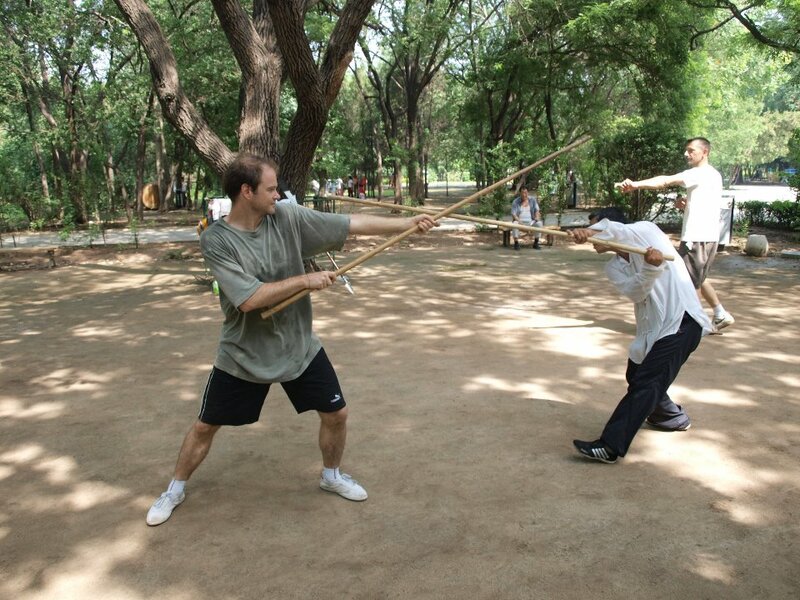 In addition to the changes and additions to the empty-handed material, these two teachers added the use of 4 different weapons to the base curriculum, which are nowadays practiced through 4 long forms: Hei Hu Bian (Black Tiger Whip - a short whip-staff), Feng Mo Gun (Crazy Demon Staff), Tian Gang Dao (Pigua broadsword), and Miao Dao (Grain-Leaf longsword). Since the miao dao form was evolved from the earlier, older form taught to Guo by Liu Yuchun, it was now called the ‘Second Road’ (Er Lu), to be distinguished from the original. These weapons were not originally developed with the rest of Pigua, which was created as an empty-handed art. The body-method of Pigua was therefore embedded into these weapons forms and their methods later on to make them one with that art. Other "Pigua weapons" existing nowadays are very modern additions. Interestingly, one can see a lot of commonalities between Pigua weaponry techniques and those seen in Chuo Jiao Fanzi Quan, even though the body methods are inherently quite different. There is an obvious connection between Pigua and other northern-Chinese arts, by the way of many common stances, and some techniques; but its flavour and character remain very distinct. In the rare art of Shaolin Jingang Bashi, there are quite a few movements that seem to have originated from Pigua. In terms of body-method, the art closest to Pigua is Tongbei Quan. Both arts are based on the notion of molding and shaping the body into a heavy whip. Still, even among these two there are obvious differences, and it can be said that they do not always represent the 'same type of whip'. Tongbei's whip tends to be more elastic and snappy, having the quality of a rubber band perhaps, and Pigua's whip is usually longer and heavier (this is a generalization referring to the more common traits, and one should keep in mind that these two types of body-whipping methods exist in both arts). 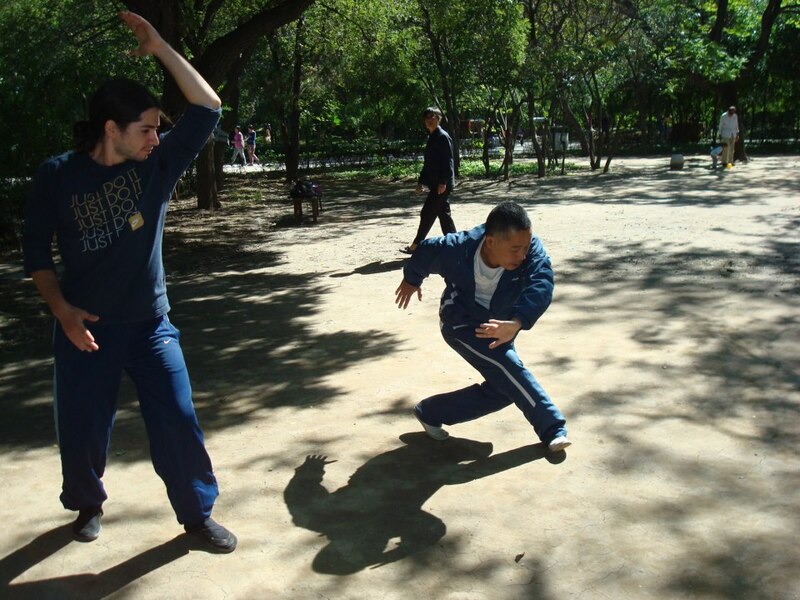 Pigua and Tongbei emphasize the practice of single-movement or single combinations, and have few forms. Tongbei forms are usually short, while Pigua forms are rather long, and make for good cardiovascular conditioning methods. My official Pigua lineage, as shown above, is: Mr. Yang (18th century) >>>> Xie Jinfen (Xie Yutang 谢玉堂) and Li Dengshan >>>> Ren Xiangrong (任向荣; 1852—1930) and Liu Yuchun (刘玉春) >>>> Guo Chengsheng (1896-1967) >>>> Guo Fengming >>>> Pang Zhiqi & Wang Lianhe (20th century) >>>> Zhou Jingxuan >>>> Jonathan Bluestein. The classical writings of Pi Gua Zhang describe the art with several verses. I found some of these to be slightly ambiguous for students new to the art. I have therefore decided to describe the art using both old and new terminologies, combined. Heavy Hands – One attempts to let gravity and momentum lead the hands into powerful strikes. The hands and arms are kept as relaxed as possible in the process (though a little bit of tension is sometimes kept in the palms). This makes the opponent feel one's hands are like heavy metal chains, while the Pigua practitioner himself feels light and mobile. Without heavy hands, there is no Pigua. This principle is also the main prerequisite for the art of Tongbei Quan. “Big opening, big closing, big splitting, big hanging"- The contrary movements of opening (Kai) and closing (He) follow each other, and are performed with a bodily frame as large as possible, often even in fighting. In a close-quarters situation, the hands and body still seek to expand beyond the small, confined space. The big splitting and big hanging are vital to ensure one has and develops the power to carry the opponent with his own momentum. Also, the Pigua player becomes accustomed to feeling comfortable at wide and large body angles, at which other people are completely unbalanced and disoriented. This is opposite to the some of the more common strategies in the Chinese internal arts. In the latter, one's advantage is in controlling movement patterns and skills which are very small and refined. In Pigua, it is one's capacity to open up and stretch, while remaining stable, which gives one the edge in many situations. "Fierce rising, hard falling" – These too are contrary movements that follow each other, and are done swiftly, using all of the body's mass in whipping motions. This principle in Pigua is the equivalent of Xing Yi's: "Rise, Drill, Overturn, Fall", but the body-method of Pigua makes the movements manifest differently. In the picture: Master Zhou Jingxuan, demonstrating an application from the Feng Mo Gun form to a student. Xigu park, Tianjin, China. "Searching and tracing" - The hands are constantly striving for contact with the enemy. After momentum is generated, one instantly adopts the mentality of seeking a point of contact. It is not so one can "build a bridge" as in other Chinese arts – it is so one can find a point through which to lean-over all his momentum into the other person. Had such a point of contact not been found, the same momentum would be recycled, and the practitioner will keep "overturning and rolling like a pearl spinning in a jar" until further contact is made. One strives for contact like a monkey skipping among trees and looking for branches. When the opponent is weaker than oneself, than the hands just go through him. In case the opponent is too strong at a given position, the hands will disengage immediately upon touch, and seek to attack from a different angle. Each strike strives to go through. What cannot go through, slides along. What cannot slide along, changes direction. "Relaxed long reach power" – The momentum cannot be transferred onwards if one is not extremely relaxed, and if the power does not reach all the way to the tips of the fingers. The idea is that as the Pigua practitioner moves his arms about, anything that touches them would immediately bounce-off. Defense and Offense are not distinguished – Every defense is an offense. Additionally, two consecutive movements are blended into one by guiding the momentum of the first movement directly into the second. Ideally, several movements could be combined into one constant flow, without any stoppage. "The torso is opening and closing like a bow. The chest and back swallow and spit like a string which sends out the power like an arrow without a shadow”- A description of the characteristic movement of the torso, and the way it helps to issue power. The contraction and expansion of the entire body in Pigua is very sharp, abrupt, springy and quick. "Its movements are swift and violent, but agile and fierce" – Speed is greatly emphasized, but not at the expense of agility or roundness. The preference is for large half-circles or quarter-circles, so when the art is performed quickly, the round quality of the movement is often only felt by the practitioner and missed by the sideways observers. There is almost always roundness and coiling in the movements of Pigua, even when cutting directly into and through the opponent. Natural movement and striking - This is an art designed for fighting. All of its techniques have obvious usage, which is rarely complex, and can be used effectively in less than a year of training by most people (and much quicker if one already has a foundation in a traditional Chinese style). Pigua's big swings, chops and hooks mimic the way many people naturally and instinctively fight. The difference is that Pigua adds a lot of sophisticated body-mechanics into the mix, and while it is easy to learn, mastering it can take many years. Training in Pigua has an animalistic feel to it. The art flows with a mentality which is truly primal. People who first see the art performed quickly often think of it as some form of wild dance; in a sense, this is not far from the truth. The art of coiling from side to side – When storming opponents, one's momentum usually throws him to one side, and often downwards as well. Various drills and methods, especially Dan Pi (Single Splitting), are designed to take advantage of that type of situation, and create the ability to bounce back with the same momentum in the other direction, after the opponent has been unsettled with the first movement/strike. The spine plays a huge role in this, and its coiling and uncoiling are responsible for generating extra momentum, and adapting to existing forces. When moving from side to side, Pigua causes one to feel somewhat like a Drum on a Stick. When twisted quickly with the fingers from side to side, the stick is like the spine of Pigua, and the strings with their little beads are like Pigua's heavy hands. 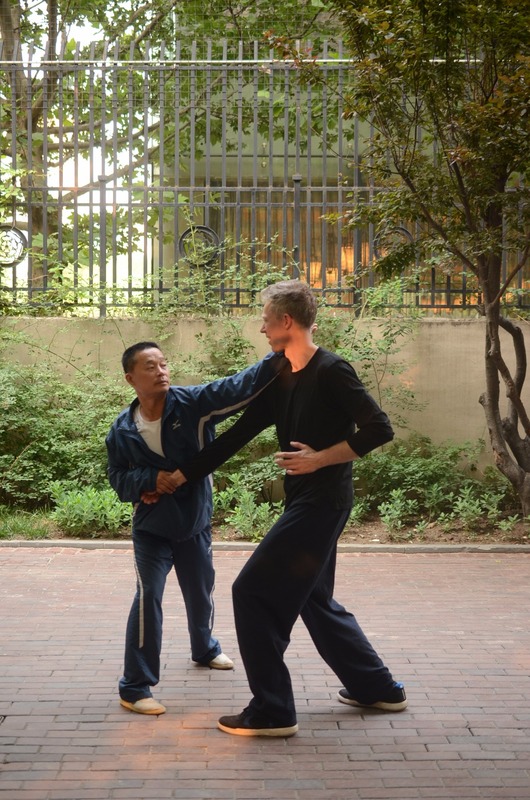 Dynamic Balance – In the Internal Chinese arts, especially Xing Yi Quan, the emphasis is on having a very balanced and solid structure when coming in contact with the opponent. In Pigua, this is not exactly the same. The ability one seeks, which we may call "dynamic balance", is the ability to regain balance from large movements that had been executed very quickly, with a lot of momentum. The 12 basic hands of Pigua, and their variations, are therefore designed for the development of such ability. They constantly force the practitioner into difficult physical positions, pushing strikes and movements to the physical limit of their reach (effectively assuming one "misses" with each strike). From such a disadvantageous position, one is then expected to be able to move in the exact opposite direction, generating serious power in the process. 1. Striking into and through the opponent, like a sharp and heavy sword cutting down a branch, or a very long and heavy whip. 2. Leaning all of one's momentum into the opponent with a very violent movement, as preparation for a strike or throw. The ‘Gua’ 掛 in Pigua refers to the tendency of the palms and arms to stick the momentum unto the opponent, and lead him with it. This is primarily done by applying just the right angle as one strikes, creating a drag on the opponent's entire structure. Striking in Pigua is very versatile. One can strike with open or closed fists, all sides of the palm and forearm, parts of the arm, with the shoulder, knee, leg, foot, and sides of the body. The preferred striking areas are the palm and forearm, and the least common are the leg and foot. Pigua throws are usually also strikes, in that the opponent gets thrown while being hit at the same time. An unsuccessful strike may continue into a throw, as one follows his own momentum 'to completion'. Finger jabs, groin pokes and strikes to the lower part of the abdomen are also common. The head and its surrounding areas (neck, collarbone) are the targets of most striking techniques in Pigua, even though any part of the body may be targeted, from almost any angle. Pigua is an art built on movement principles (rather than lots of techniques), and as such it provides the practitioner many options for action, and does not limit one by adhering to a strict form when fighting. Pigua is unusual in liking to strike with the back of the palm, also commonly doing so with a strike coming from below upwards (and with other variations). The back-palm strikes snap like boxing jabs, and are very powerful, able to easily break a nose, or do worse damage when applied by an experienced practitioner. This type of strike is rare because the back of the hand is, to most people, a gentle area. Indeed, this and other areas on the palm and forearm have to be strengthened and conditioned so blows can be effectively delivered. There are several methods in which one can do this. Like in many Chinese arts, the general training regime of Iron Palm can aid in this. Otherwise, the art itself includes quite a few movements which are designed to harden these areas, while training the actual techniques. Still, one does not only rely on the hardening of the palm. Proper striking mechanics are also key. For example – although much of the body is very loose when striking, the palm itself must have a certain amount of tension in it during the moment of impact. Failing to hold the palm in this fashion could cause serious injury to it, even in training. This art relies on its ability to have a long reach, since the arms and shoulder blades are stretched forward more so than in other styles. With Pigua, it is possible to reach the opponent with one's arms from a distance that others may consider "kicking distance". This is one reason that Pigua is very focused on hand-striking. The other reason being that it is, as mentioned before, an art that uses whipping power in order to deliver force. This type of power benefits most from elongated movements. With a whipping force, the power-potential of the strike grows with each joint it passes through. Pigua features several types of Hook strikes. One of the big differences between traditional Chinese arts like Xing Yi and Pigua, and an art like Western boxing, is that in many of the Chinese arts, the hooking hand can reverse direction in mid-air. Also, after the initial inward hooking movement, it can go into a head-lock, or if it missed in front of the body, press against the body for a lean-throw setup, or reverse-hook in the other direction for either striking or making a scissor-movement throw. In Pigua, this is achieved with the side-to-side coiling skills which I have discussed earlier. The size of the hooking movement can vary in both Western Boxing and Pigua. In Boxing, the body's structure is more often kept firm as you hook, while in Pigua it is whipping. The pivoting on the ball of the foot during this strike is very similar in both arts, but the quality of the strike changes because in Pigua the back is kept straight (at least in our traditional lineage), the power goes 'through-the-back' like in Tongbei, and the movement is much more relaxed at all times. Interestingly, Boxing and Pigua use whipping in a very similar way if we compare many of Pigua's movements to the Boxing jab; but in hooking, Western Boxers more often prefers to hold the structure 'unbroken', like in Xing Yi. Leg work in Pigua is extremely tiring and challenging, and the practitioner will have to move quickly through very low stances in training. Most combat situations would not require such low heights. However, this helps build dynamic stability, and provide the practitioner with the option to catch the opponent unprepared, as few people can go as low in a fight, and remain stable. In our branch of Pigua, there is influence by the Internal arts, because our teacher, master Zhou, has had extensive training in both Xing Yi Quan and Taiji Quan. Zhou's Pigua students were taught various forms of Zhan Zhuang, which greatly enhance Pigua's structure, and make it more stable when striking (more on that later). In Pigua, the Dan Tian and Hip serve as the "handle of whip". At an advanced level, students are taught Dan Tian training exercises, which greatly enhance one's whipping power. These are isolated movements. They are used to train the essential basics of the art. They are not complicated and do not require special mastery, or take too long to get good at. I include six different jibengong methods in my teachings. They primarily address the skills of flexibility, mobility, agility, cardiovascular fitness and learning to use heavy hands. Combinations of 2-3 movements, which form the basis for the rest of the art. More accurately speaking, these hands are the art, and the forms just link them, and a few other movements, to explore further concepts, strategies and tactics. Each 'hand' has several variations, and altogether there are about 40 combinations to be learned. The most crucial and important ‘hand’ is Dan Pi, or 'Single Chop'. The true learning begins with this movement. It develops some of the basic elements and forces that are most essential to the practitioner. 1. Swollenness of the palm. 2. Swollenness of the forearm. Here, traditionally a special drill of strengthening the forearms and palms by hitting a cotton-wrapped tree is introduced to the practitioner. I opt to use other methods instead, and student practice similar conditioning against each other’s limbs or against heavy bags. 3. Swollenness of the whole arm. Uniquely in Pigua, each of the 12 hands and their variations can flow seamlessly into the other, without stoppage. The 40 variations connect like universal lego pieces. Additionally, the art is completely ambidextrous, and all the variations are practiced equally on the left and right sides. Furthermore, the transition between the left and right sides of each variation is natural, easy, and makes sense from a combative perspective. The entire style is built with this special theme – that a movement is to be considered right for the art only if it maintains constant flow, both within its own method and in transitioning to other movements. At a more advanced stage of training, I aid the students in creating ‘natural hands’, wherein the borders between the actual 12 hands blur, and the only remaining guide to the spontaneous combinations they create is the momentum itself. To achieve this however, one needs to first established a firm root in the mechanics of all 40 variations, which will take a beginner about 1.5 - 3 years to attain. Dan Pi in straight line with uppercut. Qi Xing Dan Pi – Dan Pi with 7-star stepping. Dan Pi with forward hand stabbing. 16. Advanced, striking the face. 12. Regular – vertical striking. 13. Fists – horizontal striking. 14. Combined – diagonal striking. 22. Simplified for Jiben Gong. 25. Dropping to Fu Hu Bu takedown. 26. Reverse Jiao Di Long. 18. Palm to the floor. 30. Whirls around the opponent. 36. Advanced 1 – moving from side to side. 37. Advanced 2 – reaches below. 33. Going into Ma Bu. 34. With hook fists, and striking the gonads. There are two hands which I learned have eventually come to omit from the curriculum. These are Yao Zi Chuan Lin (Sparrowhawk penetrating the forest) and Da Ku Bu (Big Kua Step). - Dān liàn 单練 – Solo practice. - Yòng fǎ 用法 – Martial usage – always several methods for each variation. These cover striking, locking, takedowns, throwing, and even a little bit of ground-fighting. - Duì liàn 對練 – Partner practice methods. - Zìrán shǒu 自然手 – learning how to naturally connect the movements to other movements in the system in free flow. Akin to ‘shadow boxing’. - Bag striking – both small and heavy bags. My arrangement of the 12 Hands and their 40 variations is very personal. The movements were not taught to be in such an orderly manner. Apart from their names, they were did not have any numbers or groups attached to them. When studying with master Zhou Jingxuan, he would teach me in a more arbitrary fashion. I would be taught a single variation, and then spend 1-3 hours practicing it under shifu’s watchful eye, until the basic coordination would become ingrained in my body, and the entire pattern could be performed without major flaws in motion. Then, another variation would be taught to me. Over time, between the learning and practicing of new variations, I would continue to practice older ones, for which I would then be receiving further corrections and taught applications. I was expected to test the applications myself, and also remember everything by heart. Lengthy and complete answers would be given only if I were to initiate an appropriate question. When I began teaching, I realized that the vast majority of my native Israeli countrymen could not handle such a foreign training methodology and mindset. This is why I took care to write down nearly everything I ever learned from my teachers, and have much of the information available, in general outlines, for my students. The 40 variations were for this reason segmented into ’12 Groups’, based on the 12 mother-concepts which they represent in terms of movement and fighting tactics. Prior to teaching the art, I did not even know that I practiced a total of 40 such variations – having remembered them all by heart, the number was not that important, so I never bothered counting. 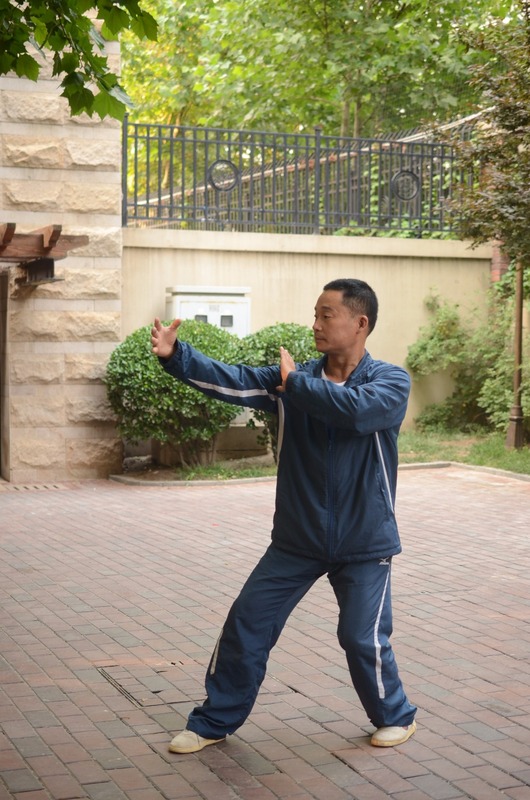 Master Zhou used to teach many forms that were not attached to a specific martial art. In China it is common custom since ages past to exchange martial knowledge like currency among friendly veteran teachers. A lot of fellow skilled practitioners sought master Zhou’s knowledge, and since he was very open and happy to share with those worthy, he also earned much from the experience of others. One thing Zhou shifu exchanged over the years was a short partner-form which linked together 6 qin na (joint-locking) techniques. This form, I found very useful for teaching beginners the essence of locking in standing positions. A lot of the movements contained within the 12 Hands flow well into joint-locks, yet this was not traditionally emphasized as Pigua is a primarily striking art. The qin na form aided in opening up new ways for students to think of applications. It also helps that this form uses Pigua stepping methods to execute the techniques. Each lock or counter present in the form is the answer to when the previous technique failed to work for some reason. The form is meant to be executed in a continuous flow between the two partners, who also change roles throughout between attacker and defender. Another way to practice the form, which I often stress, is to change one of the locks into a more deadly finishing technique, in order to learn to end the conflict quickly when necessary. This form is practice on two sides equally. More so than other contents in the Pigua system, this form focuses on pure self-defense scenarios, as opposed to combat between more equal opponents. Through the years I sought to lengthen and improve upon the original form, and so I made it longer and more elaborate. To it was added another arm lock, two chokes, a neck manipulation (break or takedown), and a whole section dedicated to ground-fighting with a sort of ‘Pigua-flavour’. I teach a basic version of the form to beginners, and the complex version to more advanced practitioners before they study the weapons of the art. In my Pigua system I have included most Zhan Zhuang internal training methods from my Xing Yi Quan, with adaptations to the needs of Pigua practitioners. The teaching of Zhan Zhuang skills begins once the student has finished studying the 12 Hands, knows them quite well, can connect them all at will and understand all of their basic applications. Zhan Zhuang provide more stability and structure to Pigua, which I believe are essential for making the art more complete as a fighting system. The five Zhan Zhuang shapes I teach are: Hun Yuan Zhuang, Wu Ji Zhuang, San Ti Shi, Si Bu Pan Gen and Ma Bu. Advanced students may also study Jin Ji Dan Dui. Personally, I also utilize other shapes for my Southern Mantis practice, but they are not taught to Xing Yi or Pigua students. The Zhan Zhuang methods include over 40 different Yi training skills and Dan Tian skills, which make for the Nei Gong within the shapes – the energetic and internal movement work beyond the basic physical alignments. It may take between 4-6 years to learn well all the abovementioned skills contained within the Zhan Zhuang, and a lifetime to master them. This also requires daily training, especially in the first few years. For this reason I have opted to not teach Zhan Zhuang to Pigua beginners, as most people who are interested in learning this art are not serious and dedicated enough to study Zhan Zhuang. For more information about Zhan Zhuang, please refer to my book, Research of Martial Arts (available on Amazon-affiliated websites). You can also search for my free article ‘ Internal Martial Arts: Explained ‘, which contains a relevant excerpt from that book. 1. Four stationary Rou Shou drills. 2. Freestyle Rou Shou while remaining in place. Focus is on reaching the opponent’s center and unbalancing. 3. Freestyle Rou Shou with mobile stepping. Focus is on reaching the opponent’s center and unbalancing. 4. Freestyle Rou Shou, now flowing into martial applications. 5. Freestyle fighting. With caution and moderation, as we do not use protective equipment. Stage 1 is taught after the 12 Hands are well engrained in the practitioner. Stage 5 is reached within 2.5 - 5 years, depending on the practitioner’s dedication to training. Fighting intensity is first learned and practiced with fixed partner drills long before freeform fighting is allowed. Meaning that the practitioner is ready for actual self-defense and combat within a much shorter time frame. The reason for delaying freeform fighting is to make sure the practitioner has decent enough control to avoid injuring himself and others, given we do not use any protective equipment and often strike with open palms. Very simple traditional stuff, consisting of teaching the body to deal with hitting and being hit. The first parts to be systematically conditioned are the fists, palms and forearms. After learning the 12 Hands, the practitioner will move forward to whole-body conditioning. This can be practiced alone, against a tree, or with a partner. Emphasis is on very slow and gradual progression. Hit conditioning needs not be practiced more than twice a week. Like Tongbei Quan, the art of Pigua Zhang includes many self-conditioning methods hidden within the practice of its basic hands. The art, as taught to me by master Zhou Jingxuan, included 5 empty- handed forms. 1. Màn Tào 慢套 (Slow Form) – "Wriggling serpent concentrating his spirit". Main key to practicing this form is "denseness". It is a beginners’ form. 2. Kuài Tào 快套 (Fast Form) – "Rising and falling like a sparrow hawk diving to touch the lake". The main purpose would be to develop agility and achieve greater cardiovascular endurance. 3. Guà Quán 掛拳(Hanging Fist) – A more combative form, with smaller movements and frequent use of fists (which are otherwise rare in the art). This form is very aggressive in spirit. It requires the foundation of an agile body and lively footwork. Speed is highly emphasized in the practice of this form. 4. Pī Guà Quán 劈掛拳 (Pigua Fist) – a very long and arduous form, combining both Pigua and Baji Quan methods. It is the most physically challenging form in the system. 5. Qīng Lóng Quán 青龙拳 (Green Dragon Fist) – A very fast form combining great agility with high kicks. It has a more close-quarters approach compared with the other forms. After having practiced these forms for a very long time, I gave up on them completely. Instead, I only practice and teach the 12 basic hands and their 40 variations. The reason being that, unlike the weapons forms of the art, in each of the empty-handed forms at least 80% of movements (often more) are found in the basic hands. Thus, except for the great cardiovascular challenge, there is not enough of a justification to practice such forms, when one could casually connect the 12 basic hands and their variations as one sees fit. Unlike some other martial arts, Pigua lends itself well to such spontaneous creativity in practice, and the 40 variations mix together brilliantly with every possible combination imaginable. The strong cardiovascular element is maintained within the weapons forms and can be stressed in freeform practice too. Do not be tempted to assume, though, that I am opposed to the notion of forms. Pigua is the only art that I practice in which I completely gave up on the empty-handed forms, while the weapons forms were kept. I felt that with this art specifically, much of what was in the forms was more for show, and that the combinations and transitions made between the movements were not as important as in the forms of other arts. As indicated earlier – Short Stick, Medium Staff, Dao and Miao Dao. To these is added the spear, for reasons I shall explain later. When practiced at fighting speed, all Pigua forms, weapons and empty handed methods have you sprinting throughout without stopping to rest or catch your breath. Thus, there is no need for special cardiovascular training to be included outside of the system – it is part of what you are supposed to attain through your regular training. All of these forms include both advancing and retreating tactics, feature changes in many directions and angles, begin and end at the same spot but are not linear at all in their stepping, and cover a lot of distance on foot. Pigua was originally a weaponless art. It was Guo Changsheng who chose to incorporate the weapons into the style. The origin of these skills is unknown. Once embedded into Pigua, they were heavily endowed with the specific mechanics and power of the art, and became an integral part of it. Following several generations of adaptation, it is now impossible to imagine that these weapons were once an external influence, as they seem to fit the art perfectly. All Pigua weapons have wooden designs. The staffs are obviously made of wood, but the swords too often require a wooden version for safe partner practice. Wood is also a more natural and pleasant material to work with, in my opinion, than metal. Here is a short overview based on my experience with various woods as they relate to weapons training in the art. The most common wood type used for staff and spear weapons in China is the Bai La (White Waxwood; Ligustrum Lucidum). It is soft and quite flexible, with incredible hit endurance, and quite cheap in China, Europe and the USA. With the under-bark on, it is somewhat rugged. With the under-bark peeled (more common), it has a very smooth feel when played with – almost unnaturally smooth. Easily absorbing sweat, which acts as a preserving ‘finish’, some staffs made of this wood can last decades. Several issues though. Firstly, it is an all-time favourite for powder-post beetles (best eradicated with Timbor). Secondly, it warps very easily if not laid flat or standing erect – will take a bend in 24 hours or less, and is later troublesome to straighten. Thirdly, it is too light for advanced practitioners, unless thick and large as used in long spears. Bai La should be purchased from a reputable and responsible seller, and not be too flexible or too light. Only the female trees make for the best lumber for weapons training! They can be recognized by their branch formation on the underbark – rough protrusions marking former branch placements should come in pairs, which exit the bark right next to each other. Another fine wood is Hickory, in particular Appalachian Hickory, which is also common in the making of wooden swords. It feels very ‘woody’ to the touch, quite natural and relaxing. This wood has fibers which become more dense and compact when taking hits. For this reason it is very popular for drum sticks, which are also known for a relatively great durability for their size and the abuse they can take. This wood too is light in weight, but is still heavier Bai La, more beautiful than Bai La, plentiful, not too expensive, and readily available in North America. Carina Cirrincione of Raven Studios created for me some truly excellent Miao Dao swords made of Hickory. Oak, both red and white, is perhaps the most common wood used for staffs outside of China. It will eventually break, but will likely last at least a few years with a good finish like Tung Oil. It too can absorb sweat as a preservative instead of Tung Oil, but this requires training in a hot and humid climate on a regular basis, at least for the first year or two. Sweat will change the wood color over time from shaded cream to dark brown. An Oak staff generally has a little bit of flexibility in it. Personally, I find all Oaks plain and generic, but others might disagree. They are nonetheless quite cheap and sold pretty much everywhere. Best Oak staffs I witnessed and used came from Tozando. Many swear that the Japanese oaks are the best on the planet. Purpleheart is an exotic hardwood which has become rather popular in recent years among many weapons makers in the West. It is quite heavy, but its long-term sustainability against hard strikes is disputed, and probably depends on the quality of lumber used. It has a beautiful deep purple colour, which will unfortunately eventually morph into a dark brown within 3-10 years, due to UV light exposure. Most custom wooden weapon makers offer Purpleheart items nowadays. I personally own short staffs made of Katalox and a long staff made of Bloodwood. These woods are stiff and moderately expensive. Katalox (Swartzia Cubensis) is by far my favourite wood for weapons – has the nicest feeling in one’s hands and is heavy in moderation. Extremely dense and hard, too. Starts dark purple and sometimes turns nearly fully black over time. Wamara (Swartzia Benthamiana / Swartzia Leiocalycina), a close relative of Katalox, can be a suitable alternative. The Bloodwood (Brosimum rubescens) is more beautiful and slightly less hard, with some claiming it may be fragile at times (so far, no problems for me). Quality Bloodwood begins bright red and turns wine-red or blood-red with age. All of these staffs I have mentioned now (Katalox and Bloodwood) were made by Dan Blizniak of Blizniank Bokken, who did an amazing job crafting them. I also have one short staff made of African Blackwood. It took me ages to find a piece long enough for such a staff. I created it by having a wood blank turned on a lathe. This resulted in an amazing finish with no need for oils or polishing. This wood is very hard and very heavy. It is over three times as hard as Oak. Quite expensive, too. Not for beginners due to its weight. Arguably not for continuous impact practice, either. Even if it could sustain much continuous abuse, which I am not sure it could, once you have such a pretty staff you would not want to ruin it! That being said, African Blackwood is far more impact-resistant than Ebony, which is not recommended for wooden weapons that hit things (but makes for excellent sword handle and scabbards). African Padauk is another wood I would recommend for handles and scabbards of swords, but it is not impact resistant enough to be used for staffs in my opinion – will take dents too easily. Cherry, Maple, and Pine though popular in woodworking, are too light and fragile for wooden weapons, but can work well for children. Walnut can perhaps be excellent for children and weak persons as it is both light and beautiful, but it too cannot withstand impact. Other woods which people commonly recommend for weapons are Wenge (very though), Ipe (extremely tough), Lignum Vitae (Genuine and Argentine, both make break easily), Osage Orange (Genuine and Argentine), Cocobolo (trade restrictions), and Jatoba. James Dinh, who makes specialized custom-made bokken (https://www.facebook.com/riverreedcrafts/), has been using Brazilian Panacoco (Swartzia Panacoco) with great success (this is a species related to Katalox and Wamara) as a prime impact-resistant wood. 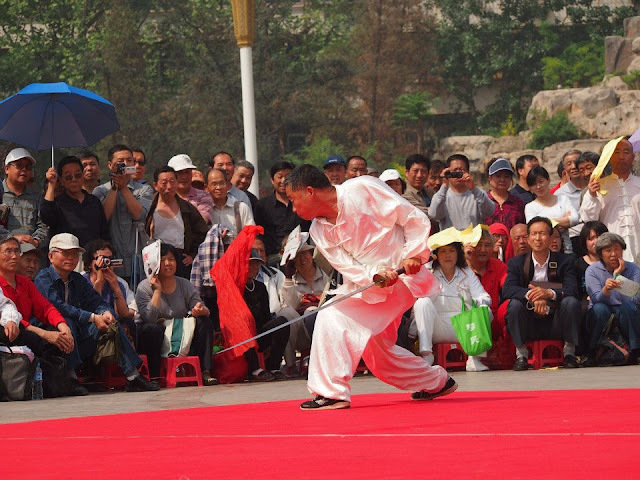 The Bian (鞭; ‘Whip’) is an ancient weapon made of a short steel rod with segmented parts (sometimes similar to the joints of bamboo), beginning with a handle and culminating with a narrow tip. Traditionally it was the length between the floor and a fist below one’s belly-button – some 85-110cm, depending on the practitioner’s height. 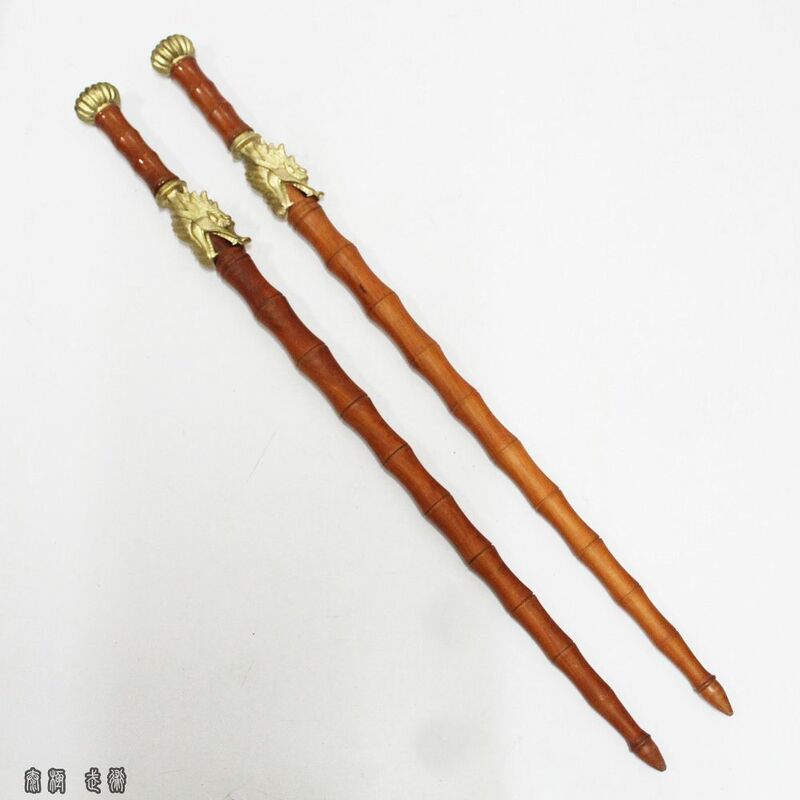 Over the years, given the rarity of the instrument (which is nonetheless still produced and sold in China) and for practical purposes, most practitioners adopted the use of an equivalent length wooden short staff instead of the original steel whip. The steel whip however had two advantages over the wooden staff used today – in that it could easily break swords, and in its joints being able to more easily ‘cling’ to another weapon in motion (the action of ‘gua 掛‘, or ‘hanging’, in Pi Gua Zhang). The major disadvantage of the whip steel was its hefty weight, which made it slower. Steel Bian of the 17th century used to weight as much as 2kg (4.4lbs)! This is considered an unusual weight for a historical single-handed weapon, anywhere in the world. In our lineage, the whip was long ago switched with a wooden short staff. The two designs are still interchangeable for most techniques and purposes. In the pictures below: First is an image, courtesy of Peter Dekker of Mandarin Mansion, of a Qing dynasty 2kg steel bian, issued to an elite military unit of the time called the Jianruiying. You can read more about it here: http://mandarinmansion.com/jianruiying-special-forces-qing# . The next two images depict modern steel bian. They are shown in pairs because in our time, there are forms of paired bian practice. Originally, master Zhou taught two forms for this weapon. The first was called ’13 Whip’, and the second ‘Black Tiger Whip’. The number thirteen in ’13 Whip’ referred to the number of movement combinations contained within (it is a short form). The name ‘Black Tiger Whip’ hints at the ferocity of this regal beast, and the fact that the form utilizes dirty fighting tricks (hence ‘black’). Most movements in these two forms are inherently based upon the body mechanics, stepping patterns and overall tactics developed through the practice of the 12 Basic Hands and their 40 combinations. Over the years I felt that these two forms could be improved. I therefore created a third form to replace them, which I called Zhao Feng Bian – Wind Catching Whip. The name was borrowed from one of the 12 Hands, and reflects the rhythm of the form, as if one is a leaf carried by strong winds, abruptly changing directions. This form combined most methods from the two previous forms, without much repetition of techniques. To this I added some stepping and striking methods burrowed from the 12 Hands which the short staff could have benefitted from yet lacked before, such as the seven-star stepping (七星步). 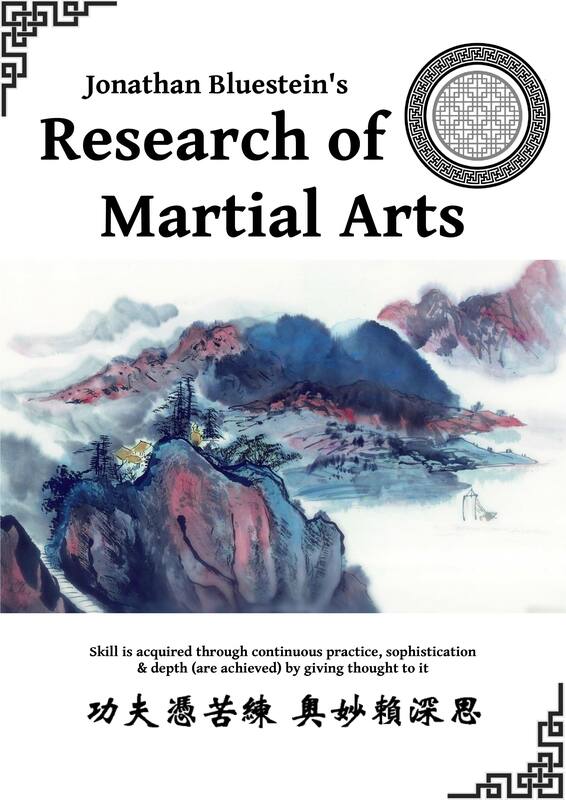 I researched deeply various short staff methods of other arts, such as Shaolin Quan derivations, Tongbei Quan whipping staff, Mian Zhang Quan stick and North-Western Chinese staff methods, and incorporated useful ideas from these into the new form. Zhao Feng Bian was created with Pigua’s Long Staff and Miao Dao in mind, so it would more directly complement the skills found in those weapons’ methods, and serve as a foundation to their study as well. Furthermore, I was inspired to include concepts from my knowledge of Shaolin Jingang Bashi’s Jian methods, which I felt at times befitted a short staff. I also added important body mechanics from the Xing Yi Quan which I practice and teach, including more advanced usage of Dan Tian Gong and figure-8 patterns with the kua. Yet another key change which I made was to the length of the staff. The previous recommended length was, as mentioned earlier, from floor level to a fist below one’s belly-button. This made for a quick staff, but also one which was lacking in range, too light even with the heaviest of woods (originally a length for a steel instrument), too long for an Escrima-like approach, and clumsy & inappropriate to wield with two hands. The last issue stood out the most. Pigua teaches one to use both hands quite well with all other weapons, and being unable to do so sometimes with this one felt limiting. I realized that, given it was now a wooden whip-staff and not a steel whip, the length could be increased without compromising the weapon’s whipping and snappy nature. This is why through long and thorough experimentation, I molded the new form to be suitable for another traditional sizing for a short staff – the height of one’s Solar Plexus. 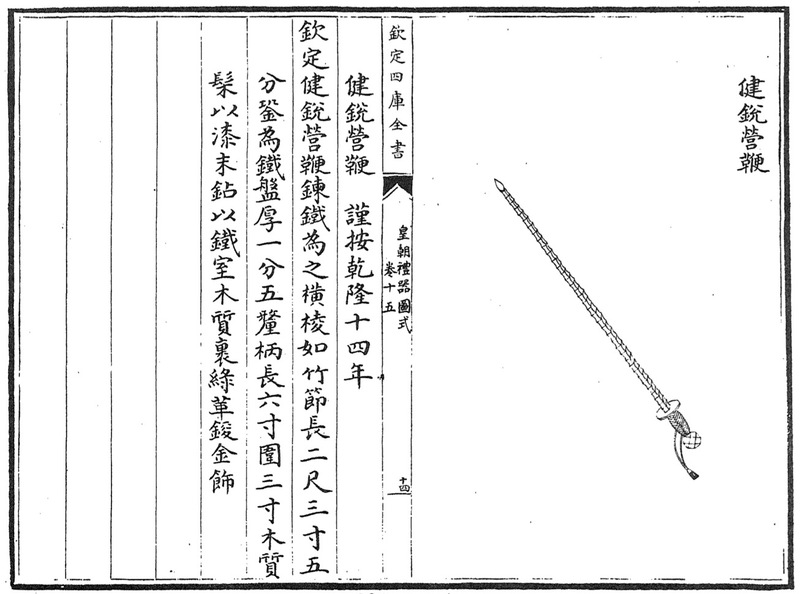 Essentially, for all intents and purposes, with the new size this longer weapon became the Chinese equivalent of the Japanese Jo; which, I should note, is not a new idea – such length is very common in the Chinese arts, especially in the North-Western Chinese staff traditions and Tongbei Whip Staff. This was also, throughout history, a favourite applicable length for a shepherd’s walking staff, used for a variety of purposes, including self-defense against wild animals. At this length, the Zhaofeng Bian could be wielded using the techniques of a shorter staff, jian, dao, miao dao and long staff interchangeably, making it much more useful and versatile than before. Also, in terms of staff methods alone, the added length proved vital in better protecting the body in various defensive positions. Because the Zhaofeng Bian is lighter than the other weapons in the Pigua system, it captures best the spirit of the art, which is light, agile, snappy, sinking heavily, floating, clinging, hooking, hanging, chopping, quick, flexible, stirring, open, bouncing, dotting, tricky, lively; and most of all – attempts to avoid direct conflict and power struggles. All forms and methods I have seen in the Chinese arts which refer to their practice with the term ‘Whip Staff’ feature these qualities I have listed herein. A one-end tapered staff is easier for beginners to practice with, but I have eventually come to prefer staffs with an even diameter throughout, since their balance is superior and more predictable. The appropriate thickness for all staff weapons in Pigua should in my opinion be between 2.22cm – 3.3cm (7/8’’ – 1.30’’). The thickness ought to depend on the palm size of the practitioner. It can be thinner for shorter staffs and thicker for longer ones. My short staff is 1’’ thick (2.54cm), and my longer staff is 1.16’’ thick (2.94cm). I have found that, for me personally, at 1.25’’ the thickness becomes slightly uncomfortable, because I have small palms. At the length of 120cm (height of my solar plexus), a thickness of over 1.15’’ would make many woods too heavy for most people to wield with one hand with great speed and agility. It is important, when considering a staff intended for both single-handed and double-handed use, to strike a balance between thickness, length and weight. Maximum recommend length for such a staff is, as explained, about the height of one’s solar plexus, thickness better be 7/8’’ – 1.30’’, and weight will depend on the wood species. Those who find it difficult to wield such a staff single-handedly should begin training with lighter woods. Perhaps the most famous Pigua Zhang form of all, Feng Mo Gun well known throughout China for its beauty and elegance. Because it is a very aesthetic and pleasing to the eye, it had been adapted to suit form competitions, both traditional and those of modern Wushu. The form is called ‘Crazy Demon Staff’ because it is very wild, unruly, unpredictable and unorthodox. It should not be confused with the Shaolin form of the same name. The length of the staff used is from ground to the level of one’s eyebrows. This is a typical specialized length in the Chinese martial arts, commonly referred to as ‘eyebrow-height staff’ (Qimei Gun). It is very important that one adheres to the recommended length. Too short a staff would hinder the required reach of many techniques. Too long a staff will spoil the mechanics of various moves, such as Liāo 撩 (Lifting Up). The form cannot function well with different lengths, and neither is this length of Qi Mei appropriate for most staff forms in other arts, apart from those meant for it. To me, it is evident that Fengmo Gun had its origins in warfare. It is very different to Shaolin-derived staff methods. The techniques more often have the practitioner wielding the staff like a long sword or a spear, with the palms grasping the lower third and facing in opposite directions. In contrast, Shaolin staff methods, and those seen in Okinawan Karate, prefer grabbing the staff with each hand placed at the borders of the middle third, and both hands facing in the same direction. The Fengmo wielding method offers a longer reach than the Shaolin method, but the latter tends of compensate by using longer staffs. The length of the staff in Fengmo Gun can be thought to represent a short spear which had been partially broken in battle, and now begs modifications to its usage as a staff. This suggests that the form assumes the wielder has prior knowledge of spear methods, which indeed would be very useful for learning this form. In the Chinese martial arts, there are often signs as to the origins of fighting methods – either civilian, monastic or military derived. For instance, in many Southern-Chinese styles such as Bai He Quan (White Crane), Wu Zu Quan (Five Ancestors), Nan Tang Lang Quan (Southern Mantis), Pai Mei (White Eyebrow) and Yong Chun Quan (‘Wing Chun’); we see a liking for close-quarters fighting, footwork covering only short distances, an assumption that the opponent will come close to you, etc. These show that said arts were developed in civilian environments. They were used in closed spaces. Assailants most commonly came right at you when wishing to hurt you. There was often limited room for movement, either in practice or application. These styles suit crowded cities well. It is important to also remember that the major contributing group to the development of these styles was the Hakka minority, which lived in giant ‘family castles’ – building complexes with narrow corridors, limited space and overcrowding. These fortresses provided ample protection for centuries, and also affected the way in which the martial arts of these people and those of their surrounding neighbors evolved. In sharp contrast, we have the arts of Northern China. The villages and temples there were very expansive and broad. There was usually less crowding. The cities, too, always had huge open yards and streets – true to this very day. For centuries, the armies and centers of power were located up north, for many different reasons, and therefore the military influence on the arts there was greater. The army needed people who could cover distance. Throughout history, soldiers tried their best to avoid close-quarters combat, and attack the enemy from a safer distance. The entire combative mindset was therefore different. The villagers and monks, too, needed to adapt to this type of fighting. Firstly, as they were often raided by people with military training. Secondly, as many villagers themselves had military education, and even among the monks it was common to find soldiers that chose a monastic life to avoid persecution. Therefore, training in the martial arts needed to encompass other things as well. Having a strong cardiovascular conditioning component was essential. Learning to cover a great distance during fighting was key. Longer reach was an advantage. Pigua and its weapons are of northern origins, and thus Fengmo Gun reflects the combative needs of a true battlefield. The very beginning of the form has the practitioner sprinting some 10 meters forward (!) in a brutal charge that attempts to ram and run over any possible adversary, and then jumping while parrying a strike and landing with a strike of one’s own. Rarely is this seen in oriental martial arts forms. Then, the entire form is meant to be executed at sprinting speed, without a pause or a rest, covering a lot of distance. The practitioner moves around in a very erratic and unpredictable manner, constantly changing directions and varying his stepping methods. Many times in the form the practitioner uses tactics that mirror a fight with multiple opponents. There are for example movements that whirl the staff through the air in circular patterns around the practitioner. This is used to open up a perimeter around you, as anyone standing in close proximity would be hurt by the flailing wooden whip. Such movements and others have the practitioner whipping the staff around with only one hand grabbing the tip, immediately followed by pulling it back to a more orthodox hold. This greatly increases one’s range with the weapon, and does not allow the opponent enough time to step back and away from the attack. The form is also well adapted for a wide variety of threats – from swords, spears and other staffs. I should clarify that despite what I had written earlier of the great speed at which Fengmo Gun in particular and Pigua in general are executed, in my teachings I also encourage to practice at moderate and very slow speeds. Rapid motion is for applying the art, but is not the best medium for learning and honing one’s skills. For this reason, what I have referred to as ‘sprinting speed’ should not make for more than 20-30% of one’s training in Pigua Zhang. Because the staff of Fengmo Gun is similar to a spear and even includes a few spear techniques, I opted to add some more spear flavour to its practice. The very end of the form had the practitioner repeating a set of movements several times, which were already repeated much before. I replaced these movements therefore with more useful additions, which include 4 of the 5 Phases of Xing Yi Spear, a North-Western staff method I was exposed to, and a 7-Star stepping technique I learned from my teacher which was not in the form prior. I felt that these modifications suited the form well, while not taking away from its technical arsenal. Otherwise, I teach the form as it was taught to me. I find this form to be exceptionally brilliant in its construction, a true work of a genius. It took me many years to practice to begin to reveal how sophisticated and deep this form really is, and it was only very recently that I dared putting my own mark on it (year 2016). Fengmo Gun is truly the culmination of the Pigua Zhang system, and includes nearly all the body mechanics found elsewhere in the art. I do however teach it before the Miao Dao, because I feel it is easier to understand the usage of this long sword after one has played with the staff for a while. The name Tian Gang refers to the stars at the tail of the Big Dipper constellation. The reason for that name is unknown to me. Interestingly enough, this form also found in lineages of Bai Yuan (White Ape) Tongbei Quan. The form is characterized by a great diversity of methods for using the Dao. The technical arsenal presented within far exceeds what is seen in most dao forms. All parts of the dao are used for fighting applications – tip, blade, spine of the blade, side of the blade, guard, handle and pommel too. Though essentially a single-handed weapon, the preferred handle would be long enough to allow for a double-handed grip if required. Many of the techniques have the practitioner turning the dao into a two-handed weapon by supporting the spine of the blade with the other hand. When not supporting the sword, the non-wielding hand may be used to help divert an opponent’s weapon. A rarity in Chinese gongfu, the sword in this form is moved from one hand to another several times, encouraging ambidextrous ingenuity. I have already written earlier that Pigua is a very ambidextrous art with its practice in general, but this is considered a less orthodox idea for sword-wielding, which in many cultures and throughout history shows a common preference for developing a dominant side. What else is striking in this form is that it includes quite a few kicks, executed with sword moves or by themselves. Perhaps this was meant to compensate for the lack of an emphasis on kicking in the rest of the art. Tian Gang Dao includes footwork not seen in other Pigua movements, too. These stepping skills add to the mobility of the practitioner in his or her empty-handed practice. It appears that the teachers who created Tian Gang Dao were intent on cataloguing all possible combative scenarios that one might encounter while wielding a dao. Covered are attacks and defenses at three heights and in all directions, whilst either standing in place, retreating or charging at the enemy, over short, medium and long distances, ducking, leaping, jumping and running. Usually in Pigua, the flow is smooth and continuous, rarely fully stopping. The rhythm of this form though varies with accordance to usage. Sometimes, a single movement will have the dao executing a single technique while advancing in 2-3 steps. Other times, a single step will be accompanied by 2-3 dao movements. The form benefits from a previous experience in the execution of charging steps as trained in arts like Baji Quan or Xing Yi Quan. Appearing several times in the form are also leaps and jumps, covering distance and evading attacks. Having these and other athletic attributes, Tian Gang Dao reveals, like the rest of Pigua’s weapons, its preference for physically fit practitioners who have prior worked on attaining superior mobility. These weapons forms are a far cry from the methods of the internal arts, which can be adjusted for practice at almost any age. The dao does reveal one of the advantages in Pigua’s liking for big, round open movements. The art’s body methods fit the need to often move the dao in large circles to entrap, deflect, intercept and force oneself into the opponent’s movements. An art such as the Southern Mantis I practice, with all of its fighting prowess and combative genius, could not have acclimated itself to this kind of fighting in my opinion, with this specific type of weapon (though I have seen those who tried). We need to be honest with ourselves concerning this reality – that not all arts fit all weapons. All martial arts have methods which would work in a seamless and impressive manner with some weapons, but would quite frankly look terrible trying to wield another. I write this because all too often, there are those who try to force a weapon upon an art to which it does not fit, simply because traditionally some teacher of their lineage passed on its usage. As a weapon, the dao is more massive and heavier than the short staff or straight sword. Its shape and weight make it suitable for cutting and chopping in gross motions more so than stabbing and slashing with finesse. 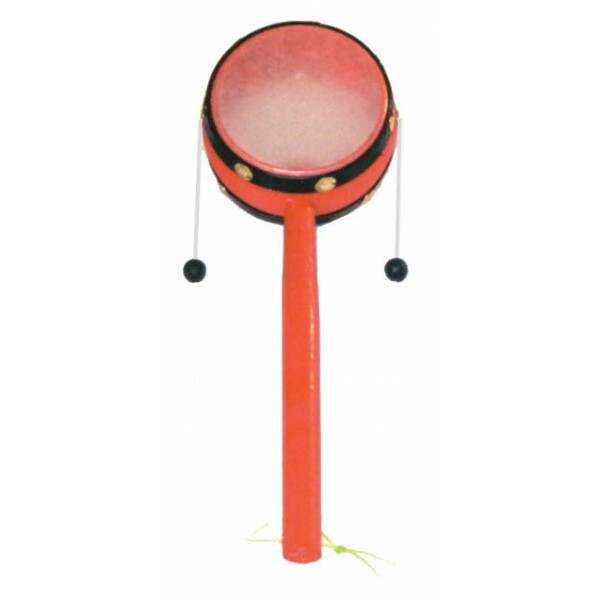 You smack away with it – this is not a ‘percussion instrument’. Because the dao is inherently more ‘tip-heavy’ compared with other swords, one’s momentum is chasing that of the weapon, which complements well the general attitude of Pigua. The wide side-profile of the blade allows it to block attacks decently and press the enemy’s weapon down or sideways, often used as a shield. Its curvature lends itself well to sticking to other weapons and hooking them away to a safe distance. The common soldier’s weapon, it was designed to be easy to learn and use. It was the M-16 or AK-47 of its day. A common Chinese proverb said that “the dao could be learned in 10 days”; likely meaning that under the circumstances, an army could train people to use the dao for basic survival in just 10 days’ time – which is an extremely short time-frame for learning to use any weapon. That being said, do remember that in ancient times people were usually more fit, and had the motivation to study well in order to not die in battle. Tian Gang Dao, however, is an advanced form that is meant to take the basics of dao usage to the next level. The roots of Tian Gang Dao in the soldier’s mind and needs clearly show. The way I understand it, a lot of movements within the form have much use for actions like breaking the ranks of the enemy, pressing an opponent back and away, positioning oneself better in in tight formations, etc. This is so obvious, that the form can be used, as is, for creating decent and convincing ‘ancient battlefield’ film choreography if one is so inclined. Miáo Dāo 苗刀 - Sprout Sword There seems to be an endless amount of hype surround the Chinese Miao Dao these days. Most of it comes from the direction of shifu Scott Rodell, who has been heavily promoting this weapon in recent years. I have previously written the most lengthy and popular article on the internet concerning the Miao Dao. You can find it by looking for its name: ‘ The Brilliance of the Chinese Longsword ‘, or clicking here. It is a very long and comprehensive article, covering everything related to this sword, and there is no need to repeat its contents here. Liù Hé Qiāng 六和槍 – Six Harmony Spear In my Xing Yi Quan system, Liu He Qiang is the first weapons form to be taught. In my Pigua Zhang system, it is the last. The reason is that Liu He Qiang is more closely related to the mechanics of Xing Yi Quan and Baji Quan than it is to Pigua Zhang. It is therefore better to wait until the practitioner had practiced Zhan Zhuang to a sufficient level and had gained a superior understanding of it and related structural attributes before studying this form. The main reason for teaching Liu He Qiang to Pigua practitioners is that they could better understand the essence of spear fighting. This is important because all previous weapons forms contain techniques which are meant to counter the spear, as well as spear methods adapted for short weapons. Without this knowledge, the other weapons and their practice would be deficient. Unbeknownst to many, there are countless forms in China which are not a part of a specific system. Meaning, they are ‘standalone forms’, which were created under a specific historical context and can be embedded into the practice of many individuals. Liu He Qiang is one of these forms. It was created based on the battlefield combat techniques, tactics and strategies of using a long spear. Some of its methods were originally used when fighting on horseback, and later adapted to bipedal combat. The idea was to train one to be able to use similar concepts with the spear under all battlefield circumstances. The form is therefore quite old, possibly created before the 19th century. Over the decades it became quite widespread in northern China, and now many variations exist. Its greatest popularity was achieved starting somewhere during the 19th century, when it was adopted by the Baji Quan system. This is how the form came to be taught to master Zhou Jingxuan (of Tian Jinzhong’s Baji Quan), who taught it to me in the year 2010. There are three classes of spears in Chinese martial arts. The short spear is the length of a short staff, anywhere between 80-130cm. 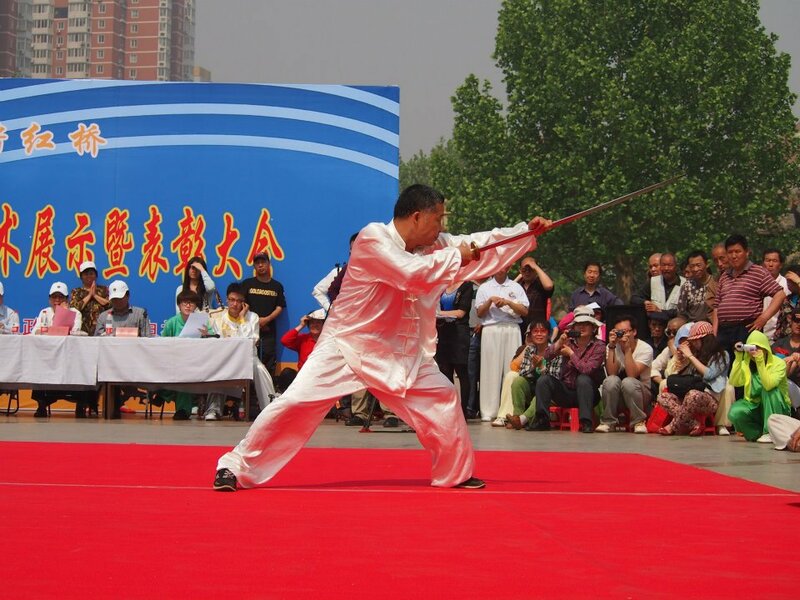 The medium spear, better known as ‘flowery spear’ (Hua Qiang 花槍), is the most commonly practiced one, with lengths of 160-200cm, and is matched to the practitioner’s height according to varying standards. The big spear was the battlefield weapon of choice, reaching the impressive lengths of 220-300cm. For strength training purposes, big spear methods are sometimes also practiced with rods reaching 350-500cm, though this is uncommon as most people cannot handle such load. The longest spears were historically usually not wielded by infantry, but cavalrymen, who carried them similarly to how knights carried a lance. Nonetheless, length is not everything. The weight, width and flexibility of the spears can make a huge difference on one’s practice and performance. For example – if we look at two spears made of White Waxwood which are of the same length, say 350cm. One can be very flexible, weigh about 2kg, and be only 3cm wide in diameter at the base. Another can be far stiffer, weight roughly 4kg, and with a base which is 5cm in diameter. The latter spear would be not twice more difficult to wield than the first, but several times more challenging. This is only understood by experienced practitioners, who can note in competitions which person brought his ‘easy spear’ for making a greater visual impression, and who is truly strong and impressive in his wielding of a more serious training instrument. Sometimes though, lighter construction is beneficial. 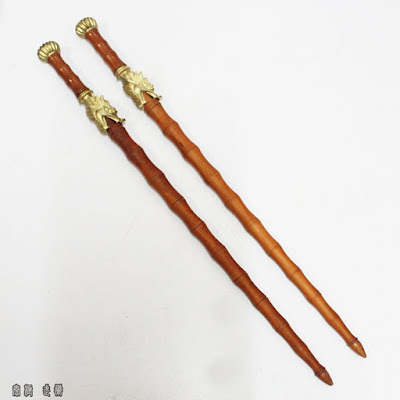 For example, in the Qing dynasty, some of the 5 meter long spears, used as lances, were made of bamboo strips, which made their wielding weight reasonable relative to their length. Perhaps the most crucial aspect in the spear’s design affecting its maneuverability, following the length, is the base shaft diameter. While staffs are often seen with base diameters of 0.75’’ – 1.25’’ (1.9cm – 3.17cm), spears in my experience are feel awkward to wield with a diameter less than 1.20’’. The reason is that the weighted point of the spear enables a great deal of power to travel to the tip, requiring a more secure and ‘full’ grip within one’s hand. Small increments can make for a huge difference, though. A person at ease handling a spear with a shaft diameter of 1.5’’ (3.8cm) would find it quite challenging to wield an otherwise nearly identical spear with a 2’’ (5cm) base. 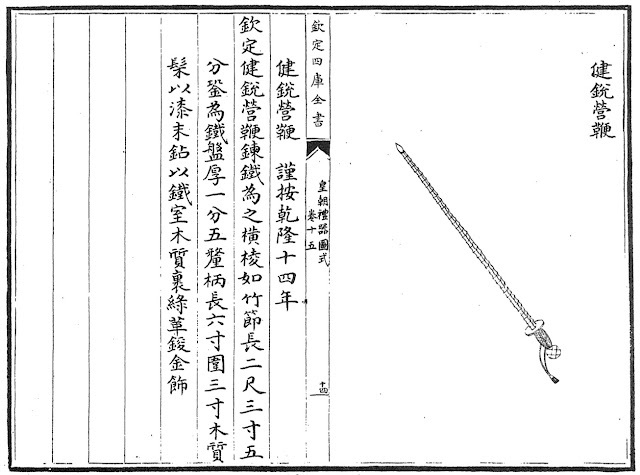 In a book complied at the request of the first Qing Dynasty emperor (Huangchao Liqi Tushi 皇朝禮器圖式), dating from the year 1766 and based on a manuscript from 1759, even the longest spears never exceed a 2’’ shaft diameter, and usually demonstrate a shorter one, roughly 1.6’’ wide. While the other Pigua weapons mimic the battlefield frenzy of the infantry soldier, Liu He Qiang moves about with the grace and characteristics of horseback fighting. The preferred stepping patterns, beside charging forward, are moving horizontally from side to side, or surrounding and encircling the enemy with large circles. This seems to be suited well to the original needs of the form’s creators. Though less relevant to our time in that sense, it still offers a unique point of view on the manner in which spear fighting can be carried out. Further in terms of relevance to the modern practitioner, is the effect that the heavy big spear has on the body. 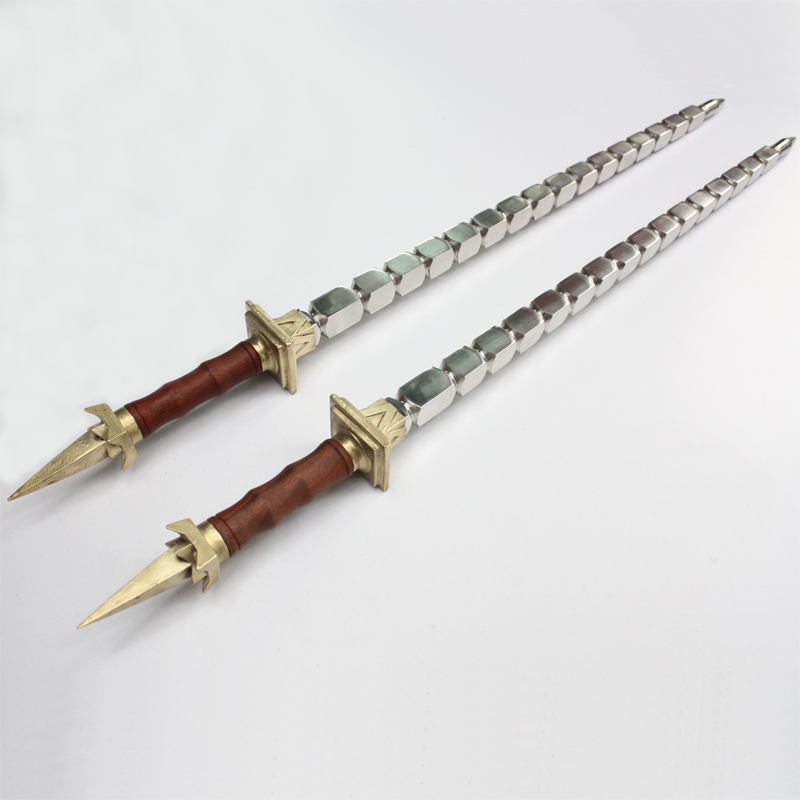 No other weapon teaches whole-body unification as well, which is why the spear is so favoured in Xing Yi and Baji. The modern Guan Dao in comparison is too heavy, and thus borders on being a solely strength-training instrument at times (although not for all players, and there are exceptions). The Bagua Dao is also too heavy for most, and its practice yields results which are specific to the art of Bagua Zhang. A heavy metal staff negates the mechanics of its intended use, and can only be wielded correctly by someone who already acquired great staff skills with wooden instruments. A metal staff also clashes with the lively spirit of such a weapon. Only the spear allows maneuverability with grace under a great load, and allows for issuing strong fa jin through the weapon with means of its length and wood type. Metal weapons, unless flimsy and made of sheet metal, or most wooden weapons for that matter, discourage the use of fa jin, which is a key empty-handed skill in the Chinese arts, because they do not channel the power well. Thus, the spear offers strength training without being overbearing, and carries over many empty-handed mechanics (various fa jin and others) rather than counteracting them. Another advantage is that, as with the other weapons, the stances and steps are also shared with the empty-handed curriculum, and the methods can be applied with the staff as well. 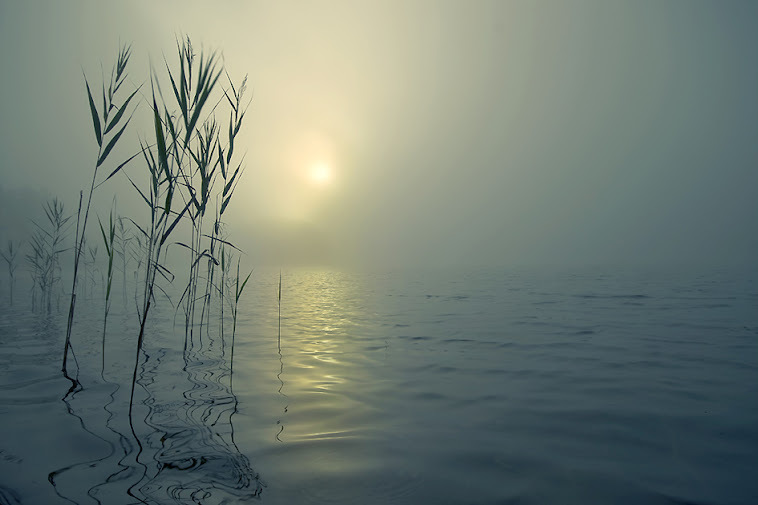 - Dān liàn 单練 – Solo practice, as described before. - Yòng fǎ 用法 – Martial usage. The applications tend to be more specific in weapons practice, and not as open to interpretation, especially with the spear and swords. - Duì liàn 對練 – Partner practice methods. Chiefly rou shou with weapons. - Zìrán shǒu 自然手 – learning how to naturally connect the movements to other movements with the same weapon in free flow. Akin to ‘shadow boxing’. This has to be ‘relearned’ for each weapon. When the skill is refined enough, the practitioner is able to spontaneously draw upon techniques from one weapon to be used with another. - Bag striking – both small and heavy bags. This is only relevant for the staffs. 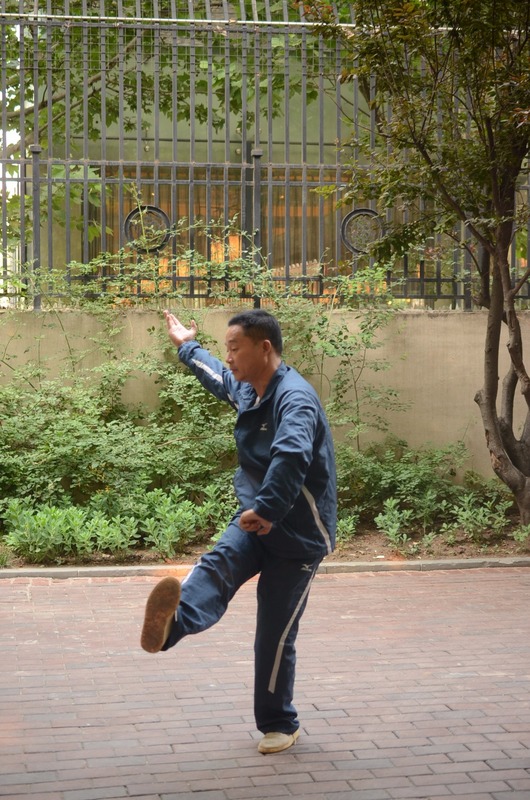 This, together with the weapons rou shou, are used as an introduction for ‘Bagua-like’ circle-walking strategies. Not a mainstay of the style, but a useful concept to learn in general. My goal as a teacher of the Chinese martial arts is to help fellow human beings fulfill their potential, while preserving cherished traditions. I use my teachings as a vehicle for delivering holistic instruction on life. Beyond the arts, I make an effort to teach Science, Philosophy, History, Biology, Physiology, Anatomy, Kinesiology, Psychology, and many other fields of research which are key to enhancing one’s understanding of the world. I have even written a special book for my students, hundreds of pages long, in Hebrew, which is free to download (The Analects of Tianjin). That book contains articles on all abovementioned subjects. I demand that my students read that book and other works I have written as perquisites for learning the more advanced materials. I would not accept a reality in which a student of mine is an ignorant person. Such teachings are not specified at length in this article, but they are nonetheless an integral part of the curriculum at my academy. Pigua has the capacity to open up the body and free a person of worry, shame, guilt and injury. Its expansive movements are a gust of fresh wind in our modern lifestyle, stretching out the crouched and slouched to a form more grand, graceful and humane. Those tight of body and inflexible in thought can evolve their essence with this art. It is a superior way to find flow, and become able to ride along and accept the changes life brings. The art of Pigua Zhang is to my students a gateway to further learning. Among the many arts I have practiced in my life, I find that Pigua methods are the most natural and enjoyable. They are therefore a great way to create a solid foundation in the arts upon which more advanced studies could be established. I take care to teach my Pigua Zhang in a manner that would aid the practitioner to later acclimate to the study of additional styles, especially the internal arts. Yet this does not take away from the combative elegance and movement brilliance of this style, which stands as a monument to the high excellence of Chinese culture. I often read this blog for inspiration as well as reference for stories I work on for a fictional character who uses both Piguazhang and Bajiquan in a martial arts manga (Tanimoto Natsu, if you're interested in the character's name). For one thing, I wish to thank you for putting this up, as this is the one of the very few pieces in English that goes in depth of the nature of sacred art. The other thing, I'd like to have your permission to use this blog to edit the wiki page of this art in hsdk.wikia if that would be alright. I will leave it to Jonathan to comment. It's his article. I am happy you liked the article. Sure, you can use it freely for that wiki project. Please contact me personally. I can share a lot more information about Baji and Pigua with you and help you further. Thanks for the article. I was just looking for the differences between Dongbei and Pigua. Thank you very much for this post. I am deeply interested in Pi Gua Zhang as a life art and something I wish to teach to my children. Is there somewhere that you have the 12 basic hands documented? I have only been able to find 3-4 of then so far. This is an excellent article. Thank you! Unfortunately there are no teachers in this area, but I keep the basic principles in mind and incorporate them into my practice. Wow! What a thorough article! This is a fascinating art! The windmill-like movements done at such speed..can generate plenty of swift power for crippling blows.